BREAKING FOR PARTS: AUDI A6 C6 SALOON 2.0TDI AUTO - 2007. All our parts are used second hand and off the shelf so may have storage marks on them. PAINT CODE - LZ7S. MAKE SURE THE PART NUMBER MATCH WITH YOUR OLD PART. 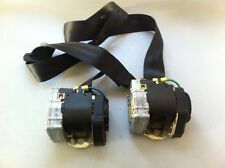 Type Seat Belts & Assemblies. 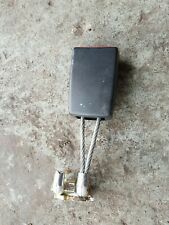 O/S Driver Rear Double Twin Seat Belt Buckle Clip Anchor. Trim Colour Paint Colour Code: Fuel Type Rear Windows North Ireland. Front Windows Air Conditioning. ANY LOCATION OUTSIDE THE UK. Oban - PH 33, PA20-49, PA60-80, KA28. Inverness - ALL. Shetland ZE1-3. Orkney KW15-17. BODY TYPE: 5 DOOR, ESTATE, QUATTRO. MAKE: AUDI. All our used parts are in good condition and are tested prior to dispatch. TOP QUALITY CAR PARTS. Good condition and tested. PART NUMBER: 4B9857805C. Part number 8d0 857 739 D. A picture is 1000 words. You are buying USED CAR PARTS, THE PARTS ARE NOT NEW. Part number 4b0 857 740 A. All our parts are used second hand and off the shelf so may have storage marks on them. MAKE SURE THE PART NUMBER MATCH WITH YOUR OLD PART. PAINT CODE LZ9Y. 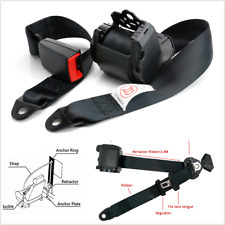 Rear Double Twin Seat Belt Buckle Clip Anchor. Trim Colour Paint Colour Code: Fuel Type Rear Windows North Ireland. Front Windows Air Conditioning. 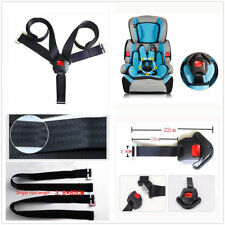 O/S/F Driver Side Front Seatbelt Seat Belt. Paint Colour Code: Fuel Type Rear Windows North Ireland. Front Windows Air Conditioning or outside UK Mainland witch is not include. BODY TYPE: 5 DOOR, ESTATE, QUATTRO. MAKE: AUDI. All our used parts are in good condition and are tested prior to dispatch. TOP QUALITY CAR PARTS. Good condition and tested. PART NUMBER: 4B0857706C. 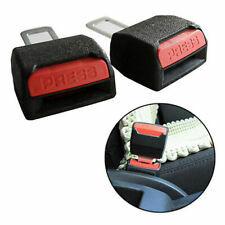 N/S/F Passenger Side Front Seatbelt Seat Belt. Paint Colour Code: Fuel Type Rear Windows North Ireland. Front Windows Air Conditioning or outside UK Mainland witch is not include. Replaceable Ceramic Ionic Flat Iron Salon 4 in1 Hair Straightener Curler Crimper. Desktop PC Ultra-Slim Thin Quiet Wireless Keyboard and Mouse Sets 2.4GHz Combo. 300ml Water Spray Bottle Sprayer Hair Salon Barber Tools Hairdressing Fine Mist. It suits interior colour codes HB and NB. Fits either Side. The New and Used Audi Parts Specialist for all Audi models worldwide. It may fit others. Audi Part Number: 4B9 857 805. It suits interior colour codes HB and NB. The New and Used Audi Parts Specialist for all Audi models worldwide. It may fit others. Audi Part Number: 4B0 857 705 C.
O/S/R Driver Side Rear Seatbelt Seat Belt. Paint Colour Code: Fuel Type Rear Windows North Ireland. Front Windows Air Conditioning or outside UK Mainland witch is not include. This is a rear centre 3-point intertia seatbelt for the followingestate cars A6 C5 1997 - 2005 . A4 B5 1998 - 2001 . This is a new,genuine Audi part. Part number. Alternative part numbers. N/S/R Passenger Side Rear Seatbelt Seat Belt. Paint Colour Code: Fuel Type Rear Windows North Ireland. Front Windows Air Conditioning or outside UK Mainland witch is not include. 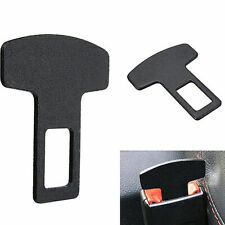 Audi A6 C5 Rear Seat Belt Buckle Black. Donor Car: 1998 Audi A6 C5 Saloon 2771cc. The New and Used Audi Parts Specialist for all Audi models worldwide. It may fit others. Audi Part Number: 4B0 857 740 A.
Donor Car: 2002 Audi A6 C5 Avant 2500cc Quattro Sport. The New and Used Audi Parts Specialist for all Audi models worldwide. It may fit others. Audi Part Number: 4B9 857 807. 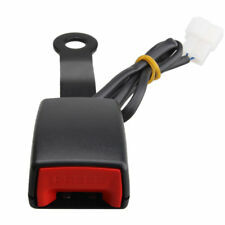 Audi A6 C5 Avant Black Rear Seat Belt. The New and Used Audi Parts Specialist for all Audi models worldwide. It may fit others. Audi Part Number: 4B9 857 705 C.
Audi A6 C5 Front NS Left Seat Belt Buckle. The New and Used Audi Parts Specialist for all Audi models worldwide. It may fit others. Audi Part Number: 4B0 857 755 J. 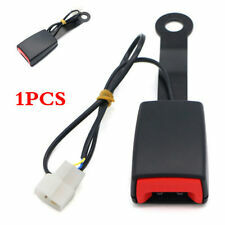 BLACK SEAT BELT ALARM BUCKLE KEY CLIP SAFETY CLASP STOP. Audi A6 C5 OS Right Front Seat Belt Green. The New and Used Audi Parts Specialist for all Audi models worldwide. It may fit others. Audi Part Number: 4B0 857 706 C. Donor Car Colour: Bodywork is Green LY6J. Part number 4b0857740a. CHECK PART NUMBER BEFORE ORDERING stock ref a6. If parts compatibility is listed then it is only to be used as a guide, for actual compatibility then part number or details must be checked. Audi A6 C5 Avant Black Rear Seat Belt. The New and Used Audi Parts Specialist for all Audi models worldwide. It may fit others. Audi Part Number: 4B9 857 805 C.
Genuine AUDI Part: 4B0 857 706 C . VW & AUDI, SEAT & SKODA Specialists. Seat belt Off Side O/S Front. AP Auto-Tech. Genuine AUDI Part: 4B9 857 805 . VW & AUDI, SEAT & SKODA Specialists. Seat Belt Off Side O/S Rear. AP Auto-Tech. The New and Used Audi Parts Specialist for all Audi models worldwide. It may fit others. Audi Part Number: 4B0 857 756. Plug Into The Seatbelt To Stop The 'Fasten Seatbelt' Alarm. Seatbelt Buckle. Car accessories. We always thrive to be quick and help you to sort whatever is needed. We are always helpful and Kind. Be sure you are too! Donor Car: 2000 Audi A4 B5 Avant 1781cc. The New and Used Audi Parts Specialist for all Audi models worldwide. It may fit others. Audi Part Number: 8D0 857 739 D.